The Penningtons’ team specialises in conducting complete office clear-outs. We can deliver office clearance to a wide range of properties in the UK. Our specialised team can remove all furniture in your commercial space. This can be essential if you’re looking to renovate your existing space to meet your new needs, or if you’re moving to newer premises. Waiting Area and Lobby Furniture. Storage Solutions, including Lockers and Cupboards. Whether you’re downsizing your offices and don’t have the space for your existing furniture or are a school looking to clear out old furniture to create space for new, we can provide a service that can clear your workspace of all unwanted office furniture. Contact Penningtons today for a quote using our form below. (The information gathered will enable us to quote potential costs involved to the customer for the removal and disposal of furniture). EXCELLENT: An item that shows only slight blemishing. VERY-GOOD: Item may show some light marks or scratches, possibly small nicks in the paint. GOOD: The item shows general play-wear with scratches and scuffs from use. FAIR: Item shows heavy wear and marks throughout. BAD: Items ready for scrap. If you can, please upload images of the office space to be cleared. Here at Penningtons, we can provide comprehensive office clearance for properties across the UK. Based in Bolton, we primarily work to clear workplaces in the North-West, but we also provide a national service. Although we’re more commonly known for delivering furniture, our team can provide a reliable removal service. Our expert team can provide a comprehensive range of removal and clearance services to suit your needs. In the past, we’ve helped all kinds of businesses to breathe new life into their workplaces. Whether you’re looking to completely clear out your office space, or if you need furniture removing to make way for more modern equipment, get in touch with our team today. Our professional team understand how important an office clearance service can be to your business. We are committed to delivering a truly reliable service to all our clients. We promise to arrive on-time and remove your waste furniture in a quick and timely manner. This will work to reduce the disruption to your workplace. Thanks to our reliability, you’ll be able to get on with your office renovations or clear-out as quickly and efficiently as possible. We will come equipped with all the equipment we need to remove your furniture, including an appropriately-sized vehicle. 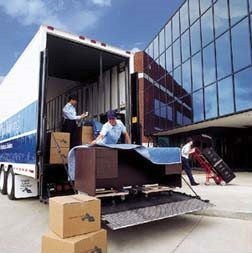 Our experienced office removals team will take care of the entire process, from start to finish. Simply let our experts know what furniture needs to be removed from your space, and we’ll take it from there. 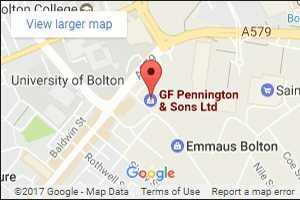 What Kinds of Furniture Will Penningtons Remove? Here at Penningtons Office Furniture, we will offer a complete removal service to any usable office furniture. We don’t typically take WEEE (Waste Electrical and Electronic Equipment) from your office, as that will need to be disposed of in dedicated recycling points. We can deal with any kind of wooden, plastic, or metallic furniture. When we collect furniture from you, we will ensure that it is either disposed of in an environmentally-friendly or refurbished for further use. This second-hand furniture, after it has been refurbished, could be used in a variety of different environments, including schools and charities. If you have any high-quality furniture that you need to clear from your office, get in touch with our team today.